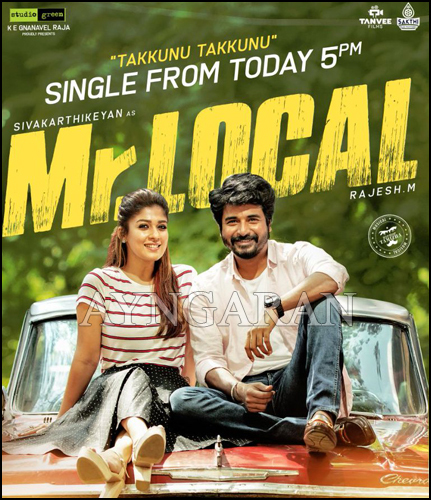 Rock Star Anirudh has sung the single “Takkunnu Takkunnu” in Sivakarthikeyan’s upcoming film, Mr Local. The song has been composed by Hiphop Tamizha. The composer shared the news on his micro-blogging page, “நீண்ட இடைவெளிக்குப் பிறகு - நண்பனுடன் மீண்டும்” This time its @anirudhofficial for @hiphoptamizha - so sweet of my bro to sing for me in my music. Thank you @Siva_Kartikeyan anna for this one. Mr Local is the second collaboration of Sivakarthikeyan with director Rajesh after Velaikkaran. Mr Local’s star cast includes Nayanthara, Yogi Babu, Radikaa Sarathkumar, Narayan Lucky , Sathish to name a few. Cinematography is by Dinesh Krishnan and editing is by Vivek Harshan. The single of the film releasing today.